Asad Durrani, along with Indian former RAW chief AS Daulat has published 'The Spy Chronicles: RAW, ISI and the Illusion of Peace' in India. 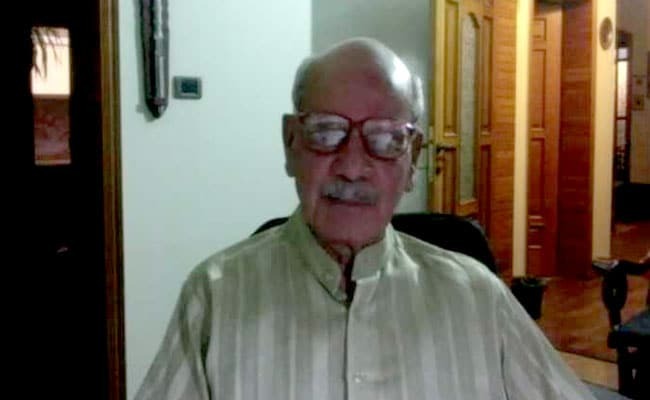 Pakistan former spy chief Lieutenant General (retd) Asad Durrani on Sunday expressed dismay at his "own people" after facing severe backlash over his recent book that landed him in controversy. Mr Durrani, who headed the Inter-Services Intelligence (ISI) agency from August 1990 till March 1992, along with Indian former RAW chief AS Daulat has published 'The Spy Chronicles: RAW, ISI and the Illusion of Peace' in India. Pakistan's powerful army had summoned Mr Durrani to seek his explanation over a book he co-authored with Mr Dulat, accusing him of 'violating' the military code of conduct. Mr Durrani was also targeted by some retired senior army officers on different TV talk shows. Mr Durrani took to Twitter to express his sense of sadness the way he was treated in the wake of publication of the book. "I am saddened by the allegations made on me by my own people. I have served Pakistan all along putting my life at risk. People who live life for others selflessly never get respect they deserve & instead those who do all wrongs for their own benefits are treated like King," he said. He did not explain who he meant by "my own people" but it apparently might refer towards men in arms. Earlier, the army, in a statement, said that Mr Durrani was being called in General Headquarters (GHQ) on May 28 and he "will be asked to explain his position on views attributed to him in book Spy Chronicles'". "Attribution taken as violation of Military Code of Conduct applicable on all serving and retired military personnel," according to a statement. Mr Durrani was apparently summoned after ousted Prime Minister Nawaz Sharif demanded an urgent meeting of the high-powered National Security Committee (NSC) to discuss the recent book co-authored by a former spy chiefs of Pakistan and India. Also, former chairman Senate Raza Rabbani and prominent leader of Pakistan People's Party criticised the joint book by rival spy chiefs and said if it was written by a civilian, he would have been branded as traitor. "Had a politician done the same thing he would have been labelled a traitor," he said.